If It’s So Bad For Us, Why Do We Eat So Much? One of the primary reasons why we eat sugar and carbohydrate rich diets is because they are addictive. Within minutes of consuming sugar/carbs our body goes through a neuroendocrine roller coaster. Your brain can not survive very long without glucose, the fundamental energy unit of the cell, and will ‘freak out’ if deprived of a steady stream of this ‘nutrient’ within only 2-3 minutes. The endocrine system, on the other hand, perceives the danger of high sugar – namely, glycation associated damage to protein and lipid structures within the cells of our body; think: blood caramelizing, getting sticky, and gumming up the finely tuned works – and will release hormones such as insulin, adrenaline and cortisol, in order to try to get the elevated sugar in the blood and tissues under control. Insulin forces the sugar into storage within the cell, both as glycogen and as fat, but often does its job too well, causing available glucose levels in the brain to be depleted – setting off a vicious cycle of ’emergency signals’ telling the body to release more cortisol and adrenaline to increase the levels of glucose in the blood. This, of course, will result in additional insulin production and release, causing the same cycle to be repeated over and over again. Even though cancer is a complex, multi-factorial phenomena, with variables we can not always control, one thing we can do is control what goes into our mouth. 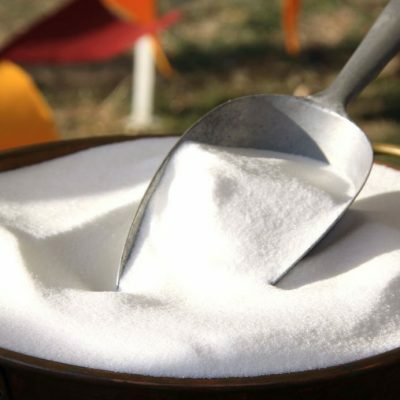 Sugar, for instance, does not belong there if we truly want to prevent and/or treat cancer. And don’t forget, carbohydrates that don’t taste sweet on the front end – bread, crackers, cereal – certainly convert to sugar in the body within minutes post-consumption.